Colin Kahl, who served in the Obama administration as a national security advisor, talks to Neil Narang's “Nuclear Weapons and International Security” class. Gregory Weaver, deputy director for Strategic Plans and Policy of the Joint Chiefs of Staff in the Pentagon, talks about how nuclear weapons can change military strategy and plans in Neil Narang's class. 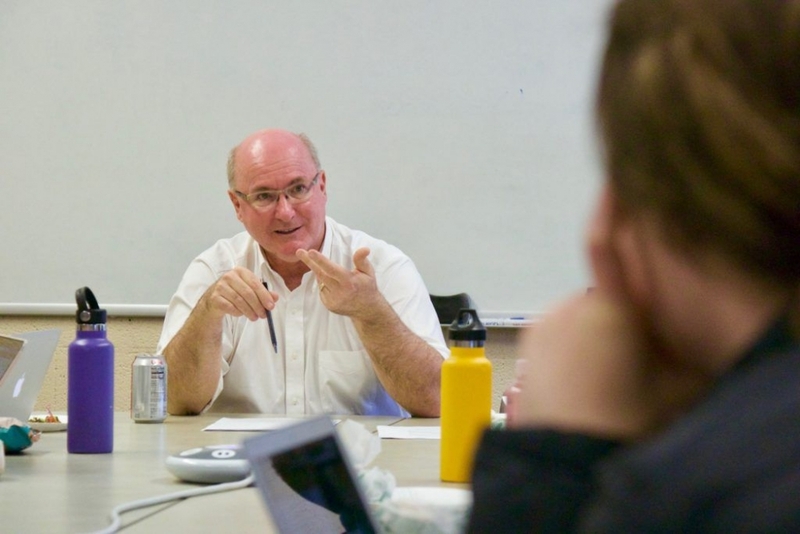 Brad Roberts, director of the Center for Global Security Research at Lawrence Livermore National Laboratory, speaks on future nuclear policy challenges at Narang's class. Students in Neil Narang's nuclear security class listen to guest speaker Colin Kahl. 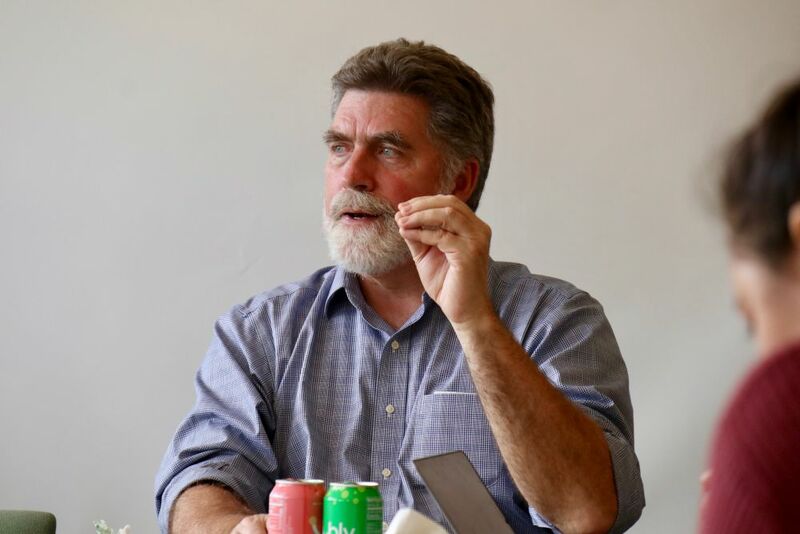 Michael Krepon had no idea that his guest appearance at UC Santa Barbara would be so timely. A co-founder of the Stimson Center, one of Washington’s top think tanks, Krepon was invited to campus by Neil Narang to speak to his class about nuclear security in South Asia. Just two weeks earlier, India and Pakistan, both of whom possess large stockpiles of nuclear weapons, edged closer toward the brink of war. 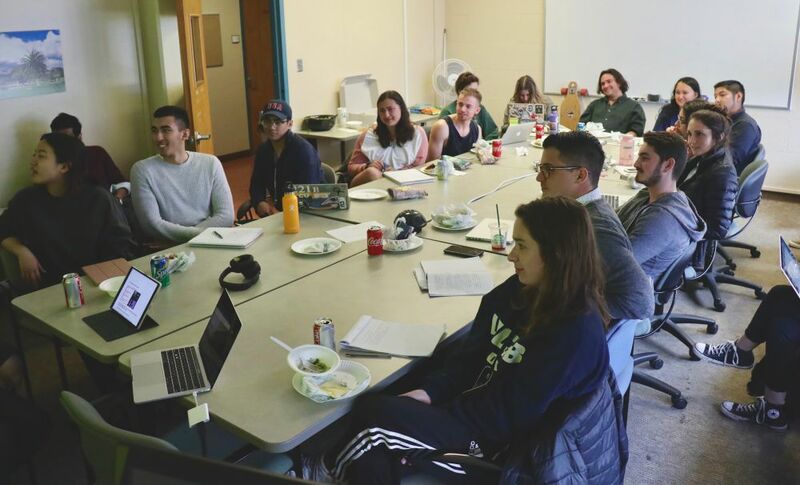 For the 20 students in Narang’s “Nuclear Weapons and International Security” course, Krepon’s talk offered an important real-world glimpse into a life-and-death topic that, paradoxically, has been fading from the public’s imagination and policy priorities. The new course originated when the Stanton Foundation approached Narang about developing a class on nuclear security, one of its philanthropic priorities. The foundation was searching across U.S. universities for exceptional instructors with expertise in the highly specialized field of nuclear security, and Narang — who served as a senior advisor in the Office of the Secretary of Defense for Policy on a Council on Foreign Relations fellowship — fit both criteria. But there was a catch: For the foundation to agree, the university would need to match that $10,000 for three more years to support the class. But without a spare $30,000 lying about the campus, the foundation’s offer was about to disappear. And then an administrator suggested Narang approach the university’s Orfalea Center for Global & International Studies, led by director Michael Stohl. It was the right call. Narang reached out to his network and ultimately hosted eight heavy hitters in the field of nuclear security. Each speaker covered a different aspect of the nuclear security problem. For example, Krepon discussed the role of nuclear weapons in the crisis between India and Pakistan. Greg Weaver, deputy director for Strategic Plans and Policy of the Joint Chiefs of Staff in the Pentagon, addressed how nuclear weapons can change military strategy and plans. 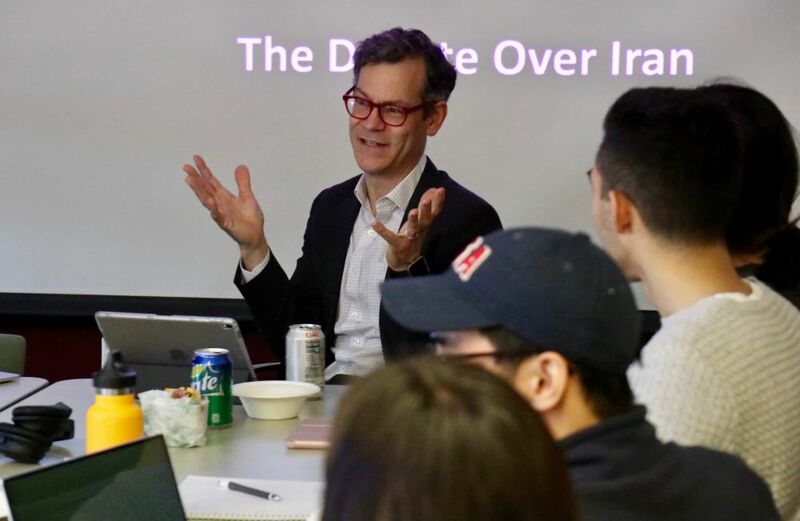 Colin Kahl, who served as deputy assistant to President Obama and national security advisor to Vice President Biden, spoke about Iran and North Korea as emerging nuclear threats. And, for balance across perspectives, John Mueller of the Cato Institute and Ohio State University argued that nuclear weapons are irrelevant to national security. But the ambition of the course — for both the foundation and Narang — is much broader than any one individual insight: inspiration. As Narang explained, public awareness about nuclear weapons reached a peak during the Cold War, when the U.S. and the Soviet Union had a stockpile of roughly 75,000 nuclear weapons between them. But the generation of experts who dedicated their careers to nuclear issues, often referred to as “Cold Warriors,” will soon be retiring. Clearly, Narang said, the field needs an infusion of young scholars and policymakers. Those gaps are what the Stanton Foundation took aim at when it approached Narang to develop the course, which provides a rare opportunity for undergraduates to participate in a graduate seminar-style class, with a small number of students around a single table discussing readings together and engaging with speakers. Narang hopes it will lead one or two students to consider a career in nuclear policy. At minimum, though, the course appears to have opened some eyes. It’s enough to get the students’ attention — and interest.